glad they were the best ever for you! I had a few issues with mine – so unfortunately not. But well done on yours! They were a hit with me too. They look great! Yours came out nice! very gooey- I am like you, I can’t stop myself from letting them bake longer. Good for you that you took them out- mine were too cake-like. I’ll make again and bake them exactly 28 minutes. 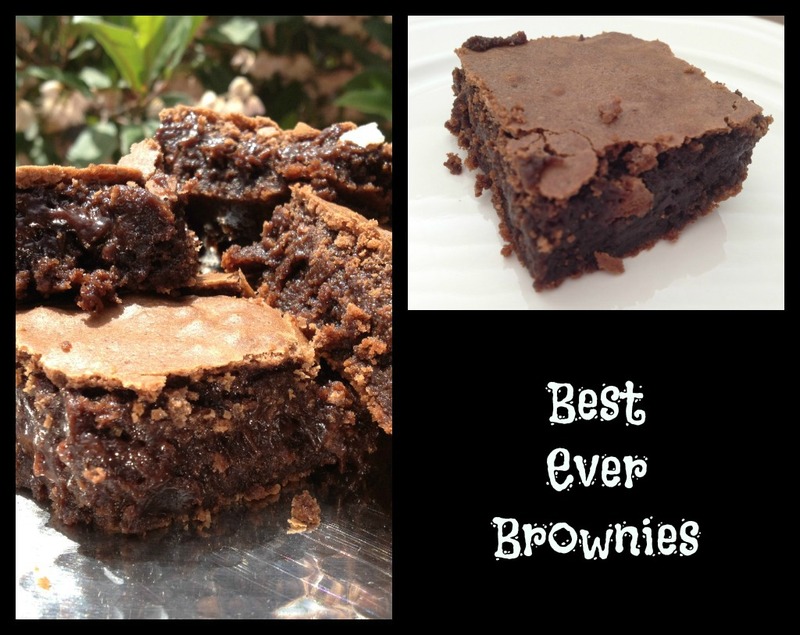 Your “Best-Ever Brownies” look so fabulous – chocolaty and fudgy and perfect, just the way brownies should look like. It is really nice to read that you and your family enjoyed these so much! Oh my God! I think I died and went to heaven. Thank you so much for sharing! These were not our best ever, but they did earn praise from my chocolate eaters. I love how crumbly and gooey your brownies look. I was surprised at how much we like these – so glad you did as well. Brownies are a beautiful thing. Thanks for sharing. These were a big hit in my house too! Yours look fabulous…just the right texture! I too was a bit concerned about the 28 minute baking time because they looked extremely gooey at the 23 minute mark. Kudos! The name “Best Ever” is hard to claim about anything, I agree! Glad you liked the gooeyness! Oh! Yeah! These are definitely go to brownies. Loved the fudgyness of them. I baked mine about 10 minutes longer and that was just right. They look so very decadent!